A day after Beyoncé, who cites Nigerian Afrobeat pioneer, Fela, as her inspiration for her latest album “4,” received The Billboard Millennium Award at the 2011 Billboard Music Awards, Ladybrille Magazine releases Ladybrille-MI2 The Movie UK Launch Exclusive Interview. “I recorded more than 60 songs: everything I ever wanted to try, I just did it. I started off being inspired by Fela Kuti. I actually worked with the band from Fela! (the Broadway musical based on his life) for a couple of days … what I learned most from Fela was artistic freedom: he just felt spirit,” said Beyoncé in an interview to Billboard Magazine. “It is highly significant that a world music influencer like Beyoncé who wins such a significant award cites Fela as her key inspiration in her latest body of work,” said Uduak Oduok, Founder and Editor-in-Chief of Ladybrille Magazine. “This speaks to the powerful influence of Nigerian music and musicians,” continued Oduok. 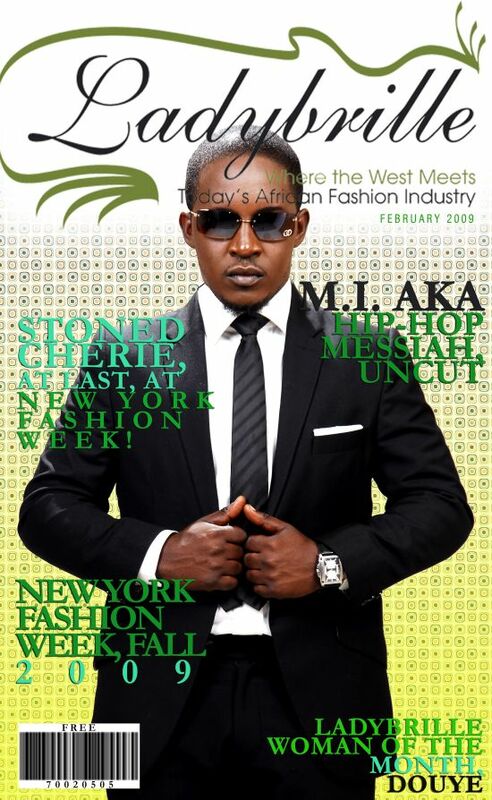 Signed to Chocolate City music label in Nigeria, Jude Abaga aka Mr. Incredible aka M.I made his official debut, in Nigeria, with his Freshman Album ‘Talk About It,’ which was released on December 11th, 2008. In 2009, Ladybrille Magazine introduced M.I, in an exclusive, on the cover of its February issue, as a future rising star to watch to its Western influential readership. Since then, M.I has gone on to win over 14 Awards including Best Hip-hop and Best New Act at the 2009 MTV MAMA Awards. The rising global African music star has also been nominated nineteen (19) times, since 2009, for numerous awards including his nomination, last year, at the 2010 BET Awards. Hosted by Ladybrille’s Maria Okanrende, The Ladybrille Magazine MI2 The Movie UK Launch Exclusive Interview features a one-on-one with the rap star on his UK launch event, his career and rising exposure in the US market; including his appearance on the Wendy Williams Show and his nomination at the 2010 BET Awards, and his hope to win a Grammy for his country and for Africa, among many topics.